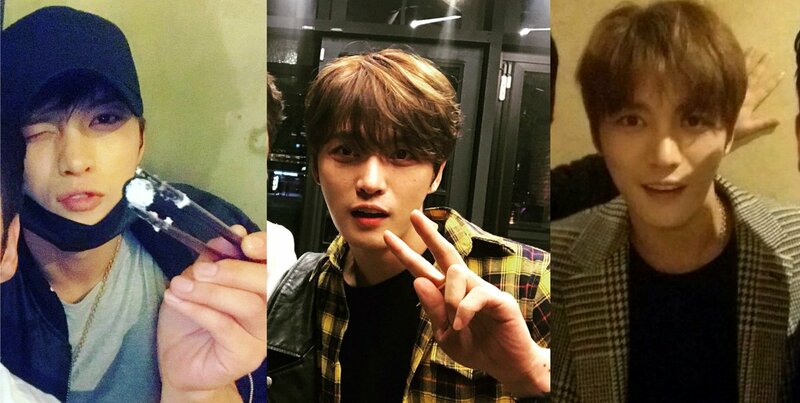 Note: Jaejoong’s friend recently opened his Restaurant, He also send a flower wreath to support his friend. [PHOTO] 어떤자리에서도 음악, 연기 얘기뿐인 우리의 재중과 함께:)) 그리고 나의 벗 현대와! !